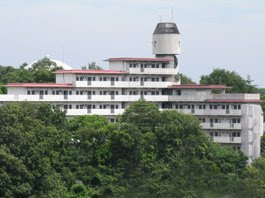 Nagoya University (名古屋大学 Nagoya daigaku), abbreviated to Meidai (名大 Mēdai), is a Japanese national university headquartered in Chikusa-ku, Nagoya, and is considered as one of the most prestigious universities in Japan. Nagoya University traces its roots back to 1871 when it was a temporary medical school. In 1939 it became Nagoya Imperial University. In 1947 it was renamed Nagoya University. In 2004 it became a National University Corporation. Their ideal written in the Nagoya University Academic Charter is encouraging the intelligentsia with courage by practice of education which respect independent. 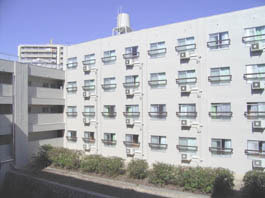 While the majority of its students come from Tōkai region, Nagoya University has a good portion of students from all over Japan. It also receives many students from abroad. The majority of them are from the USA, China, Korea, and Indonesia. Currently there are over 1000 foreign students studying at various faculties of Nagoya University. It has the third highest number of foreign students among all Japanese universities. Dr. Ryoji Noyori, one of the 2001 Nobel Prize in Chemistry winners spent most of his academic career researching and teaching there. Reiji Okazaki (岡崎令治) , discoverer of Okazaki fragments, graduated from Nagoya and was a professor there. Yoshinori Kidani, discoverer of the cancer drug oxaliplatin.